The actor who played Spike in the 1993 film Super Mario Bros. reveals that he had carte blanch to make up whatever he wanted. Coming on the heels of somewhat successful videogame or cartoon adaptations like Teenage Mutant Ninja Turtles, it seemed to somebody that a live-action movie based on Mario Bros. was a good idea. Not surprisingly, the production was fraught with problems from the onset, despite landing some big name actors such as Englishman Bob Hoskins to play Mario, comedian John Leguizamo as Luigi and Dennis Hopper as the dinosaur King Koopa. Directors Rocky Morton and Annabel Jankel set the production in Wilmington, North Carolina, but it was clear from the constantly changing script and concentration on lame visual effects that the directors didn't care about dialogue or character development. One of the relatively bright spots in the film was Koopa's henchmen, Iggy and Spike played by Fisher Stevens (Short Circuit, Hackers) and Richard Edson. In a new interview, Edson reveals that the pair of New York theater actors took it upon themselves to write funny scenes, a rap that was never used, and even change large plot points in the film. So we did theirs and it was predictably lame, but we did it the best we could and then we said "Hey, Annabel, Rocky ... We took the liberty to improve the dialogue. You want to hear it?" [And they said] "Yeah, yeah, yeah. Let's just shoot it," and we got all set up. So we went into our dialogue and it got laughs and they loved it and that was eventually used, but from that moment on we got permission and the license to rewrite all our dialogue, come up with new scenes, whatever we wanted to do. They were more than happy to do it and so Fisher and I would get together and we would work on scenes and we would come up with our dialogue and it got to the point where we wouldn't even do their dialogue anymore. The problem with the original script was that it had passed through so many hands and been rewritten so many times that it didn't have any cohesion. "The script that we had originally read was different from the script we read when we got there, which was being constantly rewritten. I was a little disappointed with the new script because it seemed to have dumbed everything down and made everything really silly and before there was a little more meat to it." Edson said it was his idea that Iggy and Spike get smarter through Koopa's experimentation, the original script called for them to devolve. "I think either I or Fisher came up with the idea that it would be more interesting [and] more fun that we suddenly became smart and we could then ... I think the idea was basically we realized we were working for this idiot, King Koopa, and our sympathies then became with the Super Mario Bros," Edson said. Which led to the scene after the credits where the pair pitch a videogame to Japanese executives. But what about this rap? "Fisher and I - as well as everybody else on the cast - believed the movie needed as much improvement as possible. We came up with [the idea of a rap] which was kind of the introduction to the night club scene," Edson said. "'King Kooper the pooper scooper' was the refrain. We had the little boom box with us we plugged it in and we did it and they all loved it. Everybody loved it. So it was decided then and there it would be a part of the night club scene. I think we shot it. They did the choreography around it and then it was to our disappointment that they had cut it out because it seemed to go over well and it was funny." Unfortunately, the scene was cut and the only evidence that there was ever a rap shot for Super Mario Bros. is a few production stills, and a reference in the trading card set created for the film. If you are interested, the full lyrics were printed in the "official Super Mario Bros. magazine" way back when. Yeah, maybe the performance could have lifted it up a bit, but maybe it was cut because it wasn't very good. 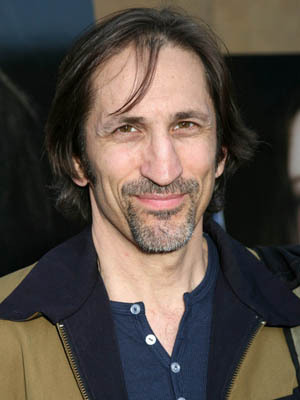 Still, it sounds like Richard Edson is a stand up guy who just wanted to make the ill-conceived movie a little better. I'll always remember Edson fondly as the garage attendant from Ferris Bueller's Day Off ("What country do you think this is?") but now I know he's the guy who made Super Mario Bros. even a little palatable back in 1993.